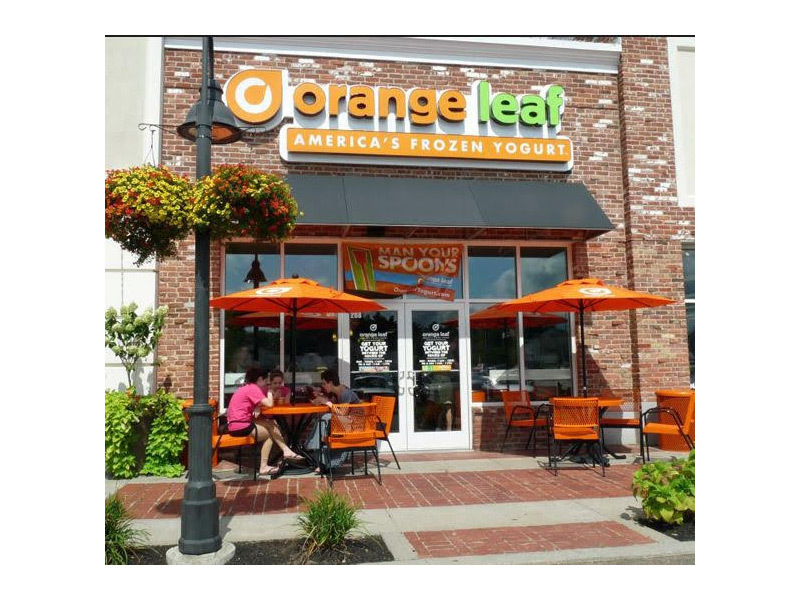 Orange Leaf Frozen Yogurt (or simply Orange Leaf) is an Oklahoma City-based chain of self-serve frozen yogurt franchises founded in 2008. 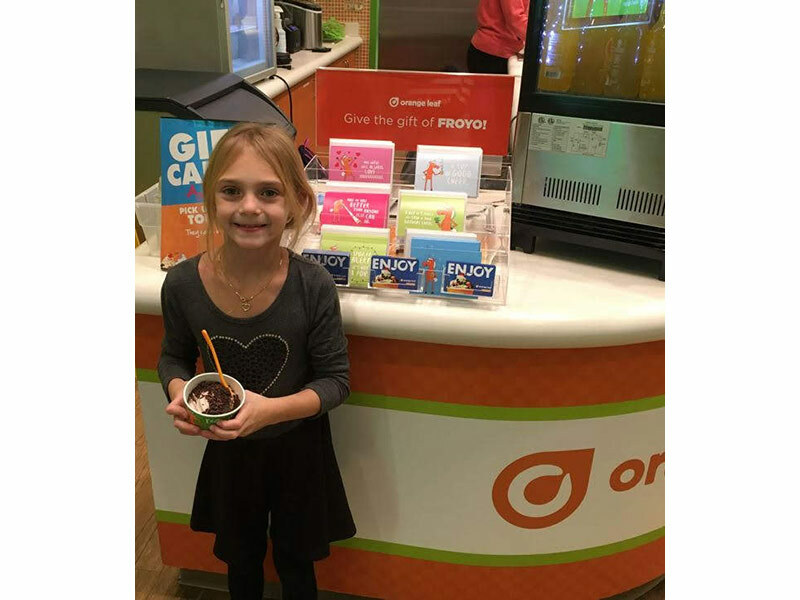 It has spread to over 300 locations in the United States and has also expanded internationally. 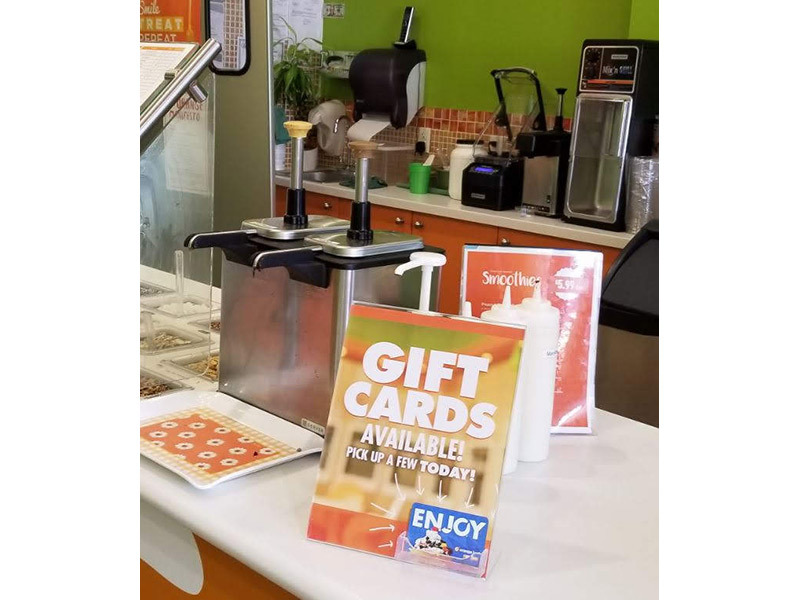 Orange Leaf wanted a counter display to sell their gift cards to customers. displaying the holiday themed cards and envelopes. 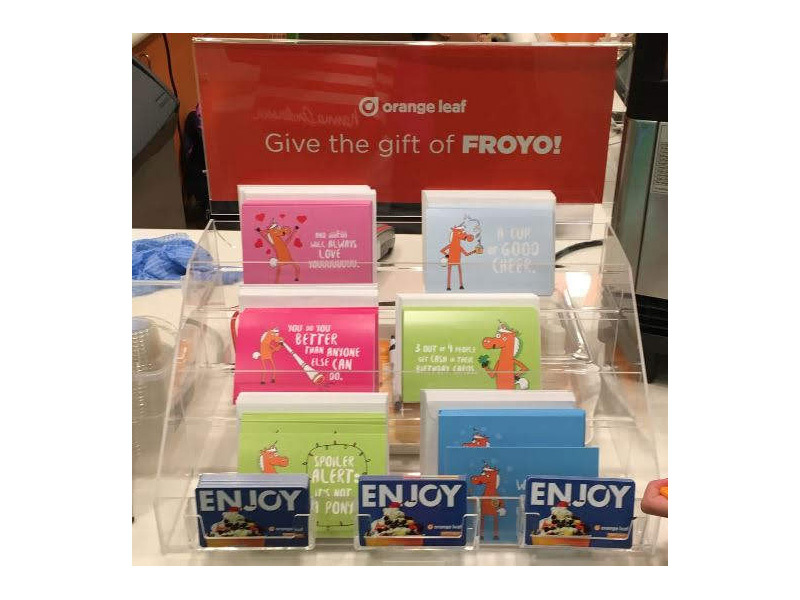 They used Azar’s clip on gift card pockets, item #252365 to clip on the front of each step display to hold the gift cards. 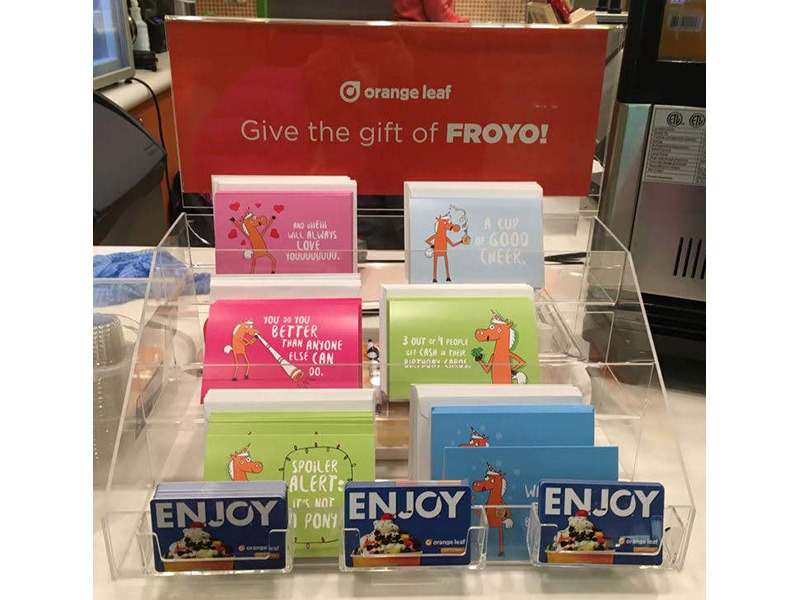 Orange Leaf used Azar’s clear acrylic sign holder, item #700040 to add branding to the display. We packed each unit to their specification and drop shipped one kit to each store. 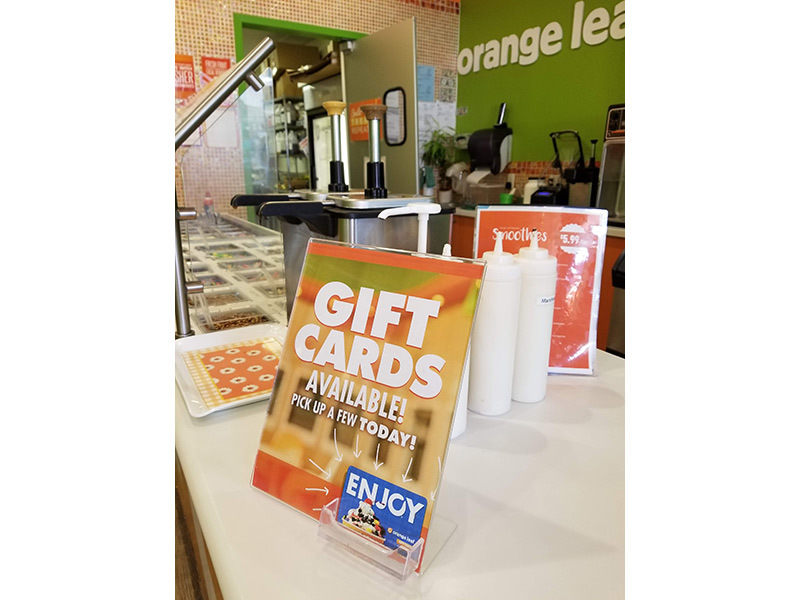 In addition, Orange Leaf uses the L-Shape frame with pocket for selling gift cards throughout the year. Check out Azar’s item #252050. In stock item, 200+ custom pack out kits were ready to ship in less than two weeks from receipt of order.